Access to the Multiple Listing Service (MLS) is a must for anyone searching for housing. The MLS is the most comprehensive database available to aid not only in searching properties that are currently on the market but those that have sold. The MLS is used by the brokerage community, appraisers, tax assessors and others that seek information on the housing market. In order to create a level and fair playing field, the NAR (National Association of Realtors®) established a set of rules by which all of the brokerages can show listings, not only from their own company but from others on their own web pages. 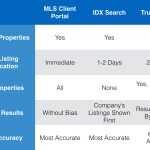 This version of MLS, called IDX (Internet Data Exchange) is the protocol by which we can create the pages on Richmond VA MLS Search that break down the Richmond, Virginia Metro in the ways both the buying public and Realtors ® see the market. Hopefully, the way we have the information displayed will allow even those with little to no knowledge of Richmond to navigate and find information on housing in a complex city of over 1 million that predates the American Revolution. In order for the public to have access to the full range of data that REALTORS do, you would need a direct link to MLS via the CLIENT GATEWAY. Being set up with a CLIENT GATEWAY is free and easy and can be set up with an exact set of parameters that will notify you IMMEDIATELY when a new property becomes available or changes in price. It can also show you the properties that have recently SOLD that may affect how you choose to structure your offer. To speak with an agent about your own CUSTOM CLIENT GATEWAY call 804-767-7566. Call us at 804.767.7566 or send us an email for a personal tour.